So, we're seeing an influx of new players since the floodgates are open. Yeah, most people won't read the forum. But hopefully, some will, or will be redirected here. 1. The bottom left hand of the screen has your engine setting. Tap W to increase, tap S to decrease. You can set your engines to 1/4 power, 1/2, 3/4, and Full, as well as setting it to 0 and setting it to full reverse. Note that it takes time to build up to full steam, and you won't hit your top speed right away. Generally speaking, destroyers accelerate the fastest, followed by cruisers/aircraft carriers, followed by battleships. Look up the different ships on the tech tree to find out their top speeds. 2. Steering is done with your rudder. Hold A to steer your ship to port (left), hold D to steer your ship to starboard (right). Q and E can also set your rudder to 1/2 and full to port and starboard respectively. Again, note that it takes time for the rudder to move and for your ship to begin to turn, so plan your course out ahead. Destroyers turn the fastest, followed by cruisers, followed by battleships, followed by aircraft carriers. 3. Try not to cut across a ship's bow. Keep aware of where your teammates are. Some ships, like battleships take a LONG time to accelerate/decelerate, and turn, so don't expect them to be able to take evasive action to dodge you. 4. You are not less accurate when firing on the move. Don't stop to fire. 5. Please do not hit the blue map border. Seriously. Don't do it. 1. All ships have multiple turrets, and the turrets will aim as close as possible to where your mouse cursor is. Where each turret is pointing is denoted by an orange circle. When it turns green and is over your pointer, it is able to fire. 2. Left click to fire one turret. Double-click to fire all your guns pointing at a target (broadside). Hold down left click to fire all guns in sequence (rolling broadside). 3. When switching to any of your weapons, a white dotted circle will appear around your ship in a minimap. That indicates the maximum range of your selected weapon. 4. AP deals damage when penetrating a target. As a general rule, battleships should fire AP at other battleships and cruisers, cruisers should fire AP at other cruisers, destroyers should avoid firing AP. If an AP round is fired at a target with little or no armour, it will overpenetrate and deal very little damage. Ideally, you want your AP shots to be hitting the ship's hull as close to the waterline as possible when firing at close range, or plunging down on the deck at long range. AP fire hitting at a bad angle will simple ricochet. 5. HE deals damage when impacting on a target, and has a higher chance of setting a target on fire. As a general rule, battleships should *try* to fire HE at destroyers (but frankly, the slow reload means you can't really switch shell types often), cruisers should fire HE at battleships and destroyers, and destroyers should be firing HE almost all the time. HE rounds deal the most damage when impacting on the deck and superstructure, and may deal no damage if you hit armoured sides where there are no modules present. 6. When your cursor is over a target, press X to lock onto the target. This helps when firing over obstacles. Press G to highlight a target to allies and request fire support. You can only lock on to targets within your range, and call for support on targets you can see. 7. Some ships carry torpedoes. Hit 3 to switch to torpedo. Press 3 again to toggle between wide and narrow torpedo spreads. A green/yellow arc will appear on either side of your ship indicating where your torpedoes can fire. If you have locked onto a target in range, a white segment will appear to assist your aim. That is where you have to fire in order to hit the direct centre of the targetted ship, assuming the ship does not change its course. 8. NOTE THAT FRIENDLY FIRE IS ALWAYS ON. Always, always, ALWAYS watch your firing arcs when shootings. Do not fire torpedoes in an area where friendly ships are maneuvering. Dealing too much allied damage will result in the team damage system penalizing you. 9. AA guns and secondary batteries fire automatically at targets in range. Hold control to bring up your cursor and left click on a target ship/squadron to get your AI guns to focus fire on it. 10. Tap Z toggle your camera to follow your shells/torpedoes so you can see where they hit. I believe when Z is toggled on, C allows you to switch between seeing each shell/torpedo. 1. Ships can have their modules knocked out by gunfire - Rudder, Engines, AA guns, Secondary guns, Torpedoes, Ammunition, Main guns. When engines or rudder are knocked out, ships will not be able to maintain speed or change their course respectively. When AA guns/secondary guns/torpedoes/main guns are knocked out, they will be unable to fire. Generally, modules will recover damage over time, but I believe that AA guns and secondary batteries can be knocked out permanently, and main guns have a chance of being permanently destroyed in a battle. 2. Ships have something called a citadel zone. Generally, this is very near the waterline directly underneath turrets and smokestacks. Suffering a hit to a citadel zone results in massive, massive damage. Citadels, generally speaking, require high penetration and the correct angle to be damaged, so they're usually seen when hitting/being hit with AP shells. Destroyers don't really have citadels, as they're practically completely unarmoured. 3. Suffering a hit in the ammunition store (either torpedoes, or directly under the turrets in the hull) may result in an explosion, which is capable of instantly killing a ship. If you see the "Detonation" achievement appear in chat, some poor sod just blew up. 4. Carriers that are set on fire cannot launch or recover their planes. Want to give a carrier a bad day? Fire HE at it. 1. Settings > Graphics > tick Animate small objects if you want to watch your secondary guns move, planes appear as squadrons, and a rave party when your AA guns fire. This may result in an fps drop. I sort of hopped on the Taiwanese stream a bit late, but this was what I was able to pick up from the Q&A with Ivan Moroz. 1. There is no final decision yet whether EXP from other games (World of Tanks, World of Warplanes) will be transferable or shared. 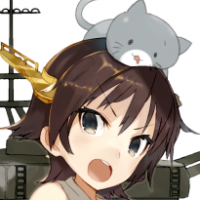 Reasoning is that World of Warships is different. 2. Winning a ram is determined by who is bigger. No other details if HP remaining was a factor discussed, etc. 3. German and Russian tree will be ready by this year (they will come out at the same time) and won't be a complete tree yet (some ship lines will be available). British tree will come next year. 4. As of now, there are only 4 classes in the game, but (post-release) these may expand onto other things like aviation cruisers, submarines and more in the future. Submarines are one of the favorite candidates (speculation: probably just mentioned because this is like the 9 millionth time this question was asked). 5. Historical battles will be added later on (it will be based around Co-op), not sure about single player modes. 6. There will be a clans and clan wars in the game, and it will use the Global Map 2.0 map. Clan gameplay is important for Asian community. No date and details cannot be divulged as of yet, but they will try new thing. There will be clan gameplay for smaller clans (speculation: it probably will be similar to Strongholds). 8. The partnership with Arpeggio is the first experiment with collaborating (for the interest of the Asian market), and it will involve more than just re-skins (speculation: hunt us down style events). If it is successful and they hope it will be, WG is keen to work with other companies on collaborations. 9. Based on results of the Beta Weekend, it may or may not green light Closed Beta testing. Public state will be this year, with the target of first quarter(it can be pushed back depending on the outcome of the current test). Edit: Detail fixes, added some points answered (things that seemed interesting). Some personal speculation was added.